The Fundación Prevent works towards improving the quality of life of these people in the working environment, as well as promoting adapted sport and progressing in occupational risk prevention. 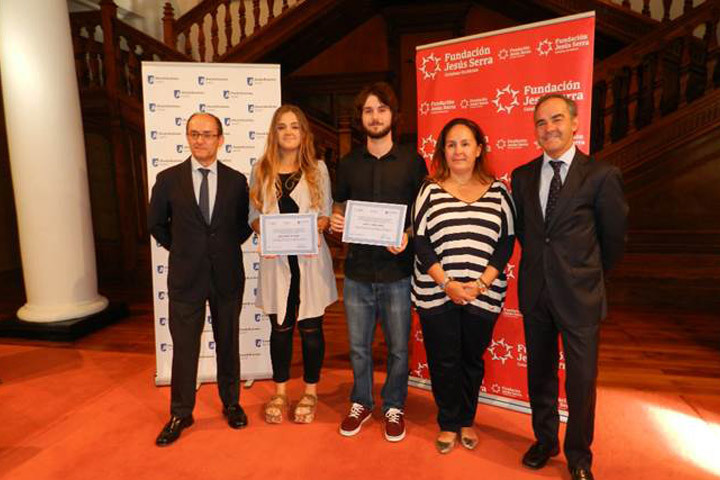 The Fundación Jesús Serra and Fundación ESADE collaborate in the Grant Fund project carried out by the Fundación ESADE, with the aim of giving an opportunity to talented students without the resources to study university programmes, PhDs or MBAs. The scholarships program África Digna-Fundación Jesús Serra aims to facilitate access to secondary school and to a profession for Kenyan students with a good academic record but scarce economic resources. We collaborate with Acción Planetaria by supporting projects such as "The elephant's memory", which is carried out in Mauritania and trains new local dentists with the aim of them taking care of the consultation opeed by the organisation in Maghama. We collaborate with the Deusto Business Alumni, supporting the Fundación Jesús Serra Grants programme by means of three grants aimed at students with a shortage of resources but with a notable academic trajectory.